Buying “Stuff”: Necessity or Luxury? I was reading last week’s People Magazine and came upon a blurb about purses. Apparently a designer named Jil Sander took some plain brown paper bags, stamped them with her name, and put them on boutique shelves with a price tag of $290.00. Guess what? She can’t keep them on the shelves because they are selling so well! 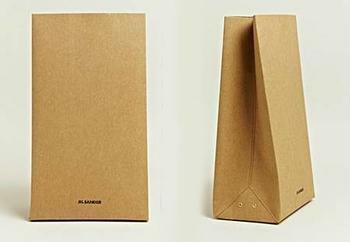 These are brown paper bags, people! They are the kind we pack “sack lunches” or carry our groceries in! Consumerism has obviously gotten out of hand. It is difficult to find someone who is debt-free these days. Some debts are just necessary, such as a mortgage, school loans and even car loans. But if you’re paying off a $290 brown paper bag purse, you are neglecting your financial self-care! There are so many financial advice gurus out there that I’m not going to attempt to explain any remedies for debt. I am, however, going to encourage you to really think about each purchase you make on your credit card(s). Stop and look closely at the item, then ask yourself, “Do I really need this?” This simple process can help keep those credit card balances down to a reasonable amount. When we talk about self-care, many people get mental pictures of women getting manicures and massages (which is great if you can afford it). But there’s so much more to self-care than that. You can apply it to every area of your life, including your financial responsibilities. So, stop trying to keep up with the Joneses (or Kardashians) and live within the parameters of your/your family’s individual situation. No one is in your exact situation, but modeling fiscal responsibility sure can make them want to keep up with YOU!